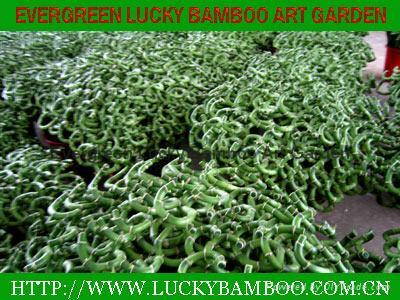 In China, Lucky Bamboo is thought to bring good fortune. This unique plant is very elegant and extremely easy to grow. 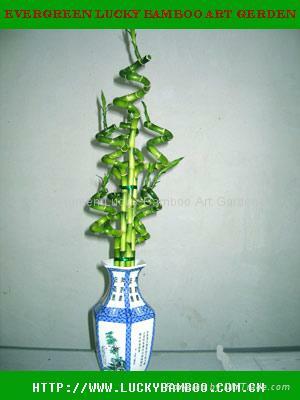 To display your lucky bamboo, simply secure the canes in the decorative rock (included) and fill the container with water. The water should be replaced routinely. Lucky Bamboo will thrive in all light conditions. 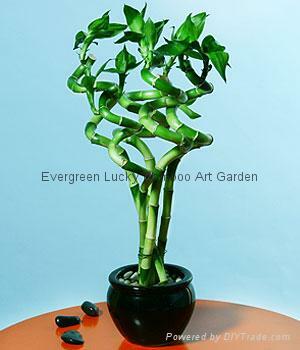 The common name Lucky Bamboo is deceiving, this plant is not a bamboo at all, but actually a member of the Dracaena genus. 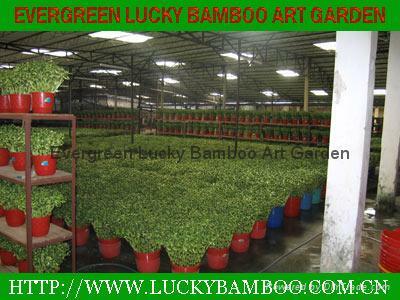 Lucky bamboo is typically sold growing in water. If growing in water, the water should be changed frequently, so that rot does not develop. Dracaena sanderiana can also be grown in soil, just like any other houseplant. 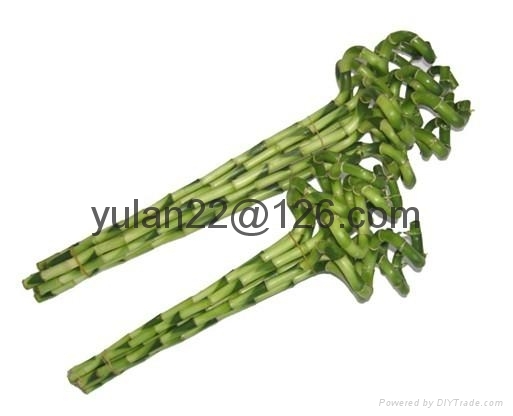 When grown in soil, it is usually known by the common name of the ribbon plant. Shengping Village,Haiyan Town,Taishan City，Guangdong Province,China.